This is the season of long range planning, of budgeting and forecasting, and planning for 2019 both personally and in our organizations. If you are embarking on this path for the first time you likely have more than enough information to overwhelm your process, and your discussions. If you’ve ‘been around the block’ you might be looking for a new approach to solve the same problems. 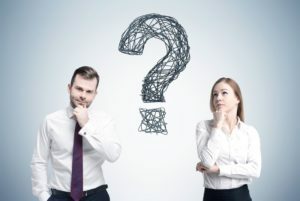 Either way, start with questions that propel you forward, and be willing to have tough conversations that lead to difficult decisions that are best for the business, and the individuals involved. So, what kinds of questions have the most impact? What if we had to do this for half the cost? What if all hourly rates were cut in half? What if you had no ability to charge hourly? What would you do differently in your business? You may respond with, “that will never happen” and I’m not refuting that. What I’m suggesting is that these kinds of questions lead to new ideas and remarkable, industry-leading, approaches to the challenges no one is addressing yet. What if our revenue doubled? Now you’re smiling! This is the “good problem” everyone wants to have. Did you know that grocery carts were invented when we started shopping for the whole week at once, instead of just a day? Think about processes and efficiencies you currently have, or don’t have because you don’t “need” them. What could be done differently that would provide you the ability to scale up? Even if you don’t want to scale, it will improve your margin. This one is easy right? We’ve been doing nothing about succession planning, and now we have a crisis as our demographics demonstrate the generation gap in knowledge and expertise that exists. Now apply that approach to all the other challenges in your business, and you surface the most pressing challenges that need attention. What if we exaggerated the issue? Imagine that every one of your senior leaders will retire/resign tomorrow. What would the succession look like for their positions? Where would information live to sustain the business? Imagine that your biggest source of revenue disappeared. Where would place attention, what would your focus be? Now these may be two of your scariest concerns, which make them awesome places to start brainstorming for your 5-year plan. What if we reverse our process? Strategic planning is considered an internal process where leaders gather and discuss the direction of the team, or the whole organization depending on the gathering. What if you started this process by talking with your customers and clients to see what they need? Where their businesses are going, what challenges they face or have identified, and what differentiation strategies they are implementing for their purchasing decisions. Bringing that information into your planning process reverses the usual course and adds definable aspects that are measurable and profitable. These are five simple questions, that if nothing else are great conversation starters in the planning process. The task we all face is to approach existing challenges with new eyes, looking for solutions and differentiators in a crowded marketplace. Let the planning begin! Judy Hissong, CLM, is the President of Nesso Strategies. Nesso is the Italian word for connection, and her company is built on the passion of human potential and bottom line improvement. She writes, speaks, trains, and coaches on leadership, wellness, workplace engagement, and communication and conflict skills. Find her on twitter @judyhissong; email judy@nessostrategies.com; phone 619.546.7885; and join her LinkedIn Group “Engaging Legal Leaders” for more conversation about leadership in law firms.